When my good friend Stephanie said she was hosting another tea cup exchange I knew that was something I could not pass up. I joined Stephanie and all of her amazing friends last year for an exchange and had a wonderful time. It says a lot about someone when they have such an amazing group of friends and I knew I wanted to be a part of that community again. As part of the exchange my bestie, Rebekah, and I went antiquing together to pick out just the right cups for our partners that we were matched with. 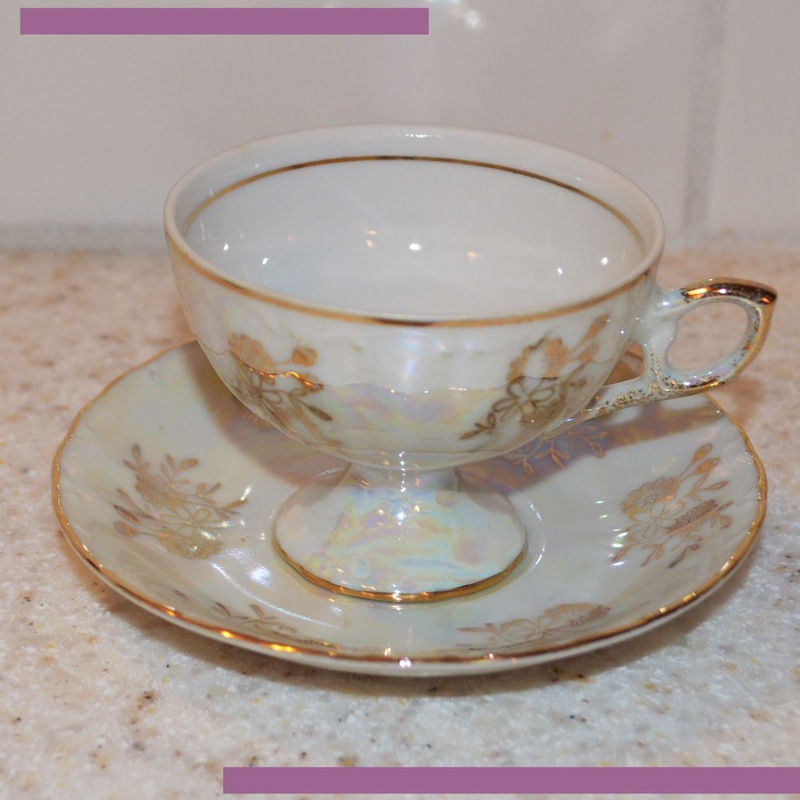 We both found some wonderful tea cups, had a wonderful time antiquing, and catching up. I go my beautiful tea cup from Margaret along with some other goodies. 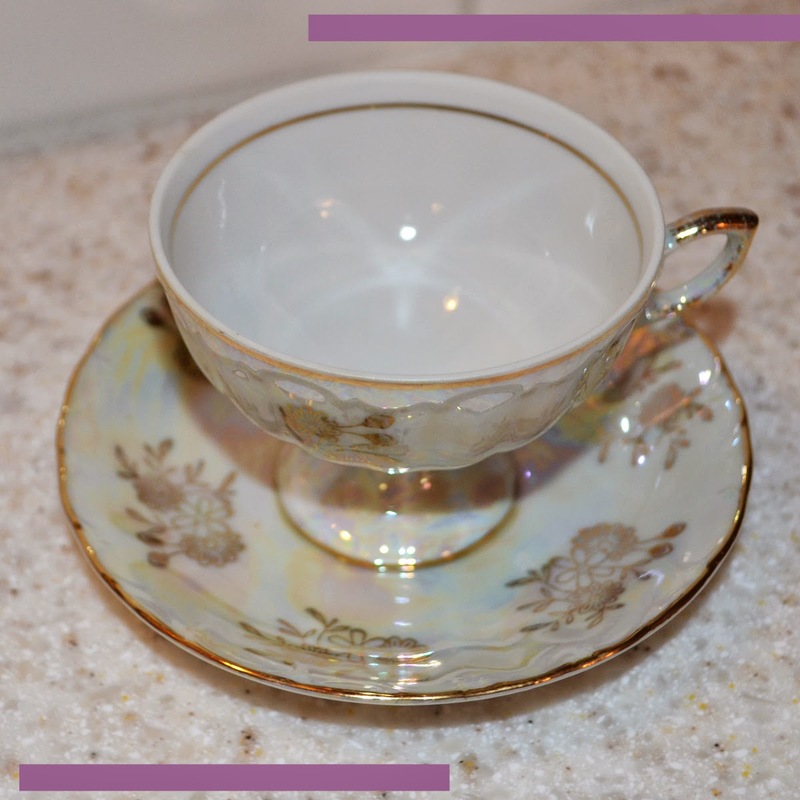 This cup and saucer are such a great addition to my collection and I am thrilled to have been matched with such a wonderful partner. Many thanks go out to Margaret for my beautiful tea cup. I cannot wait to sip some tea in it and use my Easter napkins with my family in a few short weeks. Enjoy the Journey with me! Oh Lauren, I think I just swooned over your tea cup! Wow, wow, wow - it's stunning! Thank you, friend, for joining the tea cup exchange again :) Love and hugs to you! Hi Lauren! I am coming over from the teacup exchange. What a beautiful cup! So delicate and intricate. I think that tea would be delicious on a night like tonight. Of course, it's freezing here again...where is Spring?? Oh well, at least we have our tea! 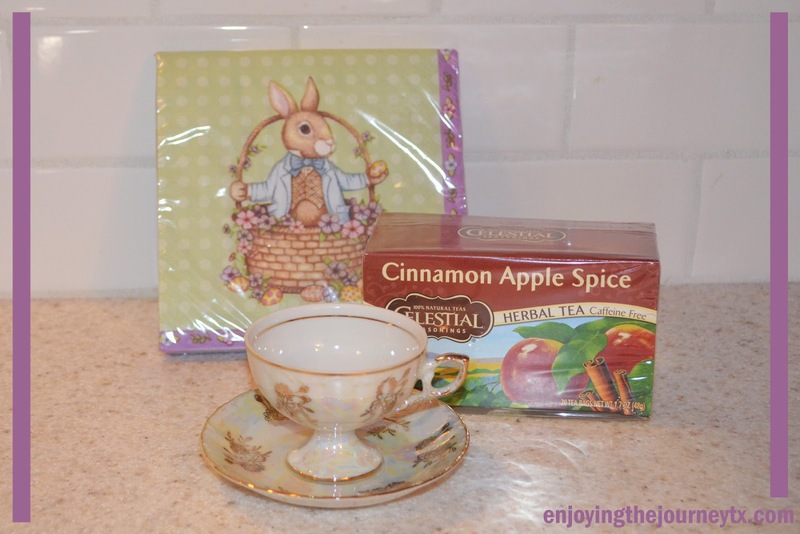 How fun to receive such a lovely teacup, Easter napkins and tea! I enjoyed my first teacup exchange so much! Hi Lauren, popping over from sweet Stephanie's link up. Your teacup is lovely. One of my favorites that I've seen! Love it! Oh, how lovely that teacup set is. So elegant! And the bunny napkins are too cute. :-) This was a fun swap. I want to see more of that 1979's house!